The Fraunhofer Institute for Systems and Innovation Research ISI analyses the origins and impacts of innovations. We research the short- and long-term developments of innovation processes and the impacts of new technologies and services on society. Today, Fraunhofer ISI employs about 240 staff members, among them scientists from the fields of natural sciences, engineering, economics and social sciences who each year work on about 370 research projects. The annual budget, nearly 23 million euro in 2014, is mainly earned from contracts performed for national and international public bodies, for industry and for foundations and scientific organisations. The primary focus of the Business Unit Policy and Evaluation is the analysis and evaluation of research, technology and innovation policy measures. The prerequisite for being able to do this is profound knowledge of how national and international research and innovation systems function and their dynamics. Our scientific policy advice concentrates on analyses of the preconditions and success factors of state intervention in the innovation system; the drivers, interdependencies, developments and effects of internationalization processes (e.g. European research area); support instruments for innovation-oriented company start-ups, among others; the demographic dimensions of the innovation system (gender, mobility, careers), and knowledge and technology transfer processes. The project unit Fraunhofer Center for Responsible Research and Innovation (CeRRI) is located at the Fraunhofer IAO. The basis for all work undertaken at the Fraunhofer IAO is a deep conviction that business success in a globalised arena is contingent on an ability to profitably leverage new high-tech potentials. In order to optimally exploit these opportunities, companies must be capable of developing and implementing customer and employee-oriented technologies faster than their competitors. Work organisation concepts must be simultaneously innovative and anthropocentric. A systematic design, in other words, is the outcome of pooled management and technical expertise. This holistic perspective when it comes to project processing ensures that equal consideration is given to commercial success, employees' interests and social consequences. CeRRI is seeking to reorient innovation toward people, to anticipate prospective socio-technological developments, and to identify promising research trajectories, we re-envision team compositions and utilize the potential of (gender) diversity. We expand the term stakeholder to include all groups and individuals who can affect or be affected by research and development – such as decision-makers from scientific, political, and commercial organisations and, in a broader sense, the public. We develop original interaction and preference articulation formats and utilize our vast expertise in the social and natural sciences, economics, design, communication studies, and computer science. The UOC (Universitat Oberta de Catalunya) is a pioneering virtual university based in Barcelona and with a world-wide presence. Established in 1994, the UOC is widely acknowledged as a global leader in excellence in internet-based higher education. The Internet Interdisciplinary Institute (IN3) is a research institute of the UOC which specialises in studies of the network society and the knowledge economy, as well as of network technologies and specific areas of software. The IN3 hosts a number of renowned research groups dealing with urban transformation, network social movements, education, communication and new media among others, that develop a wide range of researchers of an interdisciplinary nature. Among the most internationally prominent group is the Gender and ICT Research Programme. The Gender and ICT Programme focuses on the gender issues and challenges in science, technology and innovation, with particular emphasis on women's under-representation in all these fields. POLICIES - Institute for Economic and Innovation Research is one of five institutes of JOANNEUM RESEARCH and offers a wide range of thematic and methodological expertise to provide advice and support in the planning of technology and innovation strategies, in regional location decisions and analysis and in assessing the risk and effects of political and business decisions. It provides public institutions, industrial partners and international policy makers with background analyses, scientific studies and knowledge intensive consulting services in the areas of science, research, technology and innovation. It has a special focus on and a long standing experience in the field of evaluation and in issues of gender equality in STI organisations. Its work forms the basis for evidence-based policy. Besides its research focus on gender equality in science, technology and innovation are diversity, equal opportunity and the promotion of women important corporate policy principles for Joanneum Research. JOANNEUM RESEARCH has established measures to promote equal opportunities for women and men as part of its gender-mainstreaming strategy. The measures introduced so far include, for example, the more gender-sensitive use of language, Papa-Weeks (two weeks of additional paid holidays for fathers of new born babies), support for paternity leave etc. Through the use and development of these measures, along with structured management training, employees are becoming aware of the numerous advantages that gender-mainstreaming brings to science and research. JOANNEUM RESEARCH strives to invite a higher proportion of women to join the scientific and technical personnel in order to increase the innovation potential of the company. For this reason, we are regular participants of information events such as Girls' Day or FIT – Women in Technology. Aarhus University is a leading European research university with education and research activities in all scientific and scholarly disciplines. The university attracts 25 per cent of the Danish research funding and has been awarded several European Research Council advanced and starting grants. Aarhus University is member of the Coimbra Group, Utrecht Network, SANORD and Columbus. The university hosts 15 Centres of Excellence, funded by the Danish National Research Foundation. The Danish Centre for Studies in Research and Research Policy (CFA), a research centre at the Department of Political Science, Aarhus University, is responsible for carrying out both basic research and long-term competence-building, together with more practical oriented analyses, evaluations and policy investigations. The centre aims to strengthen the foundations of the research advisory system and the basis for research policy decisions. CFA conducts research on the interplay between science and society, including science policy studies. The centre is also responsible for the training of researchers within its area of activities and is expected to foster and support an informed public debate on research policy issues. CFA is in particular active in the area of RRI, structural transformations, gender and implementation of gender action plans in research organisations, evaluation, comparative studies and research policy. INTRASOFT International is a leading European company with a broad portfolio of activities largely related to information- and technology-based solutions and consultancy services to public administrations, international government and large enterprises. At the end of 2010, INTRASOFT International employed over 1.100 professionals working in Belgium, Luxembourg, Athens-Greece and Romania, 20% of which have postgraduate degrees, representing 17 different nationalities and mastering more than 15 languages. Through its continuous investment over the years it has earned a place among the primary suppliers for EU institutions and bodies (Commission DG, EU Agencies and Parliament). 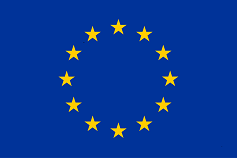 INTRASOFT possesses expertise in fulfilling the needs for studies and support of the European Commission in the distinctive part of its mission, namely, European value creation. Central to our consulting services is a clear feel and understanding of the way European policy processes work. Our work aims to improve the quality of European Commissions policy interventions, to ensure the analysis of the economic, environmental and social impacts of an intervention, and to improve and simplify the regulatory environment. INTRASOFT has performed several evaluations and impact assessment studies of policies and programmes. Since 2007 IISA has been involved in managing several Framework Contracts (FWCs) for the provision of impact assessment and evaluation tasks for the European Commission as leading firm of a consortium.